Funded sales training is now available across the extending Sheffield/South Yorkshire region. Depending on your business size you can receive funding of up to 70% towards your sales, business development and business growth objectives. 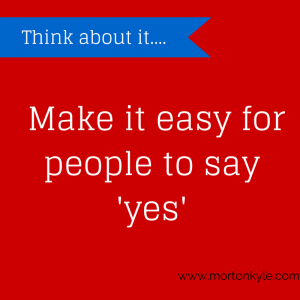 This can involve working with your sales team, your team leaders, your board or your customer facing functions. Funded Sales Training: What’s Covered? 1 Day Sales Improvement Training for Telesales – Closing more sales, faster, with higher profits. Discover how to build a solid sales pipeline of fully qualified leads, structure the sales call and close. 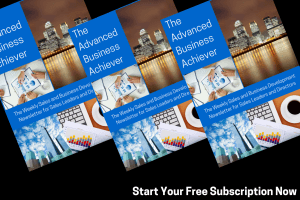 Suitable for B2B sales people at all levels. 1 Day Sales Improvement Training for External Sales Teams – Closing more sales, faster, with higher profits. Inc: building a sales pipeline of fully qualified leads and creating a compelling value proposition. Suitable for B2B sales at all levels. 2 Day Sales Improvement Training for External Sales Teams – Covering the whole sales cycle from cold call to close. Inc: qualifying, gate keeper calls, appointment setting, preparation, face to face selling, trial closes/closing, objection handling, pricing. 1 Day – How to Make High Quality Sales Appointments/How to Fill the Sales Diary with High Quality Sales Appointments – Discover how to engage the perfect prospect, generate high quality, fully qualified sales appointments, maximize the call/close rate and ensure zero cancellations. Making sales easy. I Day Sales Improvement Workshop (designed for anyone in sales) – Great for the whole sales function to attend. Lead generation and external sales to enhance the sales skills and build common understanding around generating high quality business leads that close. 1 Day Sales Strategy Training – Tools and Techniques to Boost Sales Growth – Perfect for Sales Team Leaders/Managers and anyone in a Sales Coaching/Mentoring/Performance Improvement role. Designed to unlock sales potential and create additional revenue/profit. 1 Day Sales Training for Professional Services and Fee Earners – For Fee Earners needing to generate work via networking, referral, cross function, lead generation to generate new clients. Also looking at how to have those conversations with existing clients to increase average client spend/cross selling. 1 Day – How to Run a Sales Team – Sales Metrics, Sales Coaching/Mentoring, Sales Improvement – Ideal for new/experienced sales leaders who are looking to embed a company wide sales process into the sales team including a full performance management/improvement suite of skills and insights. 2 Day – How to Run a Sales Team – Sales Metrics, Sales Coaching/Mentoring, Sales Improvement. Ideal for new/experienced sales leaders who are looking to embed a company wide sales process into the sales team. Including a full performance management/improvement suite of skills and insights. 1 Day – How to Find Your Perfect Client and Fill Your Sales Funnel – ideal for sales team that want to streamline their sales process but don’t know where to start. This process maximises sales ROI, sales conversion. It can lead to the creation of a robust and high converting sales funnel. 1 Day – Sales Strategy and Planning – a day to refocus on your business sales strategy, how your day to day sales activities are impacting on your sales results, and how those sales results could be improved. The list above is not an exhaustive list and each course/workshop is designed to meet key pre-agreed objectives. 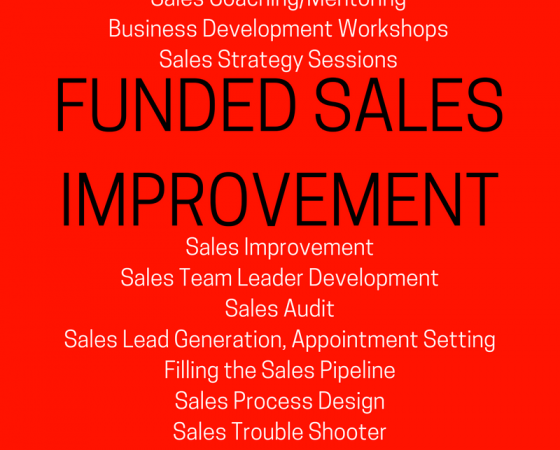 So, if you’re looking for additional insight into how to boost the sales results, business development effectiveness and potency of your sales function, then we’ll be able to design a sales improvement program specifically to address your needs. Furthermore, if you’re looking to how your sales process actually works, versus how it could work. Seeking higher levels of efficiency in the sales function then you can also access our Fast Action Sales Insight. It‘s an in depth sales audit designed to give you rapid action solutions to boost sales. Hit the link to check out the full details. This entry was posted in Blog, Sales Strategy, Sales Training, Selling and tagged Funded Business Development, Funded Sales Coaching, Funded Sales Improvement, Funded Sales Support, Funded Sales Training Sheffield, Sheffield Business Growth, Sheffield City Region, Sheffield Skills, Sheffield Skills Bank. Bookmark the permalink.